President Donald Trump has arrived at the Vatican and met Pope Francis for a short private audience on the third leg of his overseas trip. 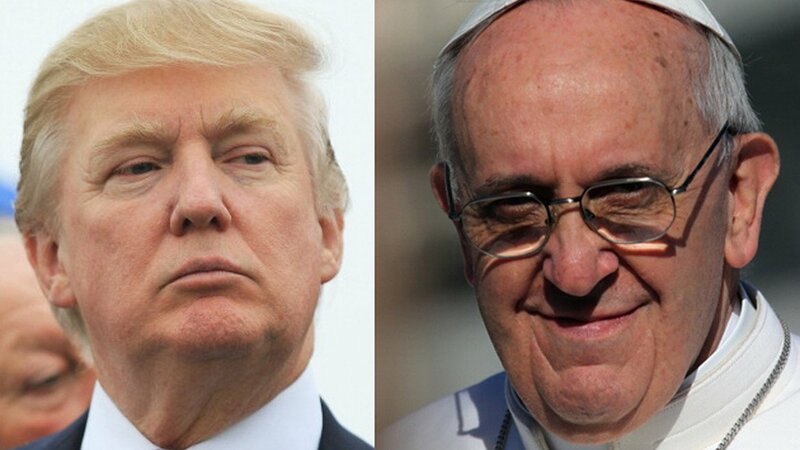 According to the Vatican, there had been an “exchange of views” on international issues, and President Trump and the Pope spoke of the need to continue good relations. President Trump said they had a “fantastic meeting”. The two men have in the past clashed on issues such as migration, climate change and a Mexico-US wall. The president also met Italy’s president and prime minister while in Rome. Donald Trump is now flying on to Brussels for a NATO summit. He arrived in Europe from Israel and the Palestinian territories, where he vowed to try and achieve peace in the region. President Trump began his foreign trip with a two-day stop in Saudi Arabia over the weekend, urging Muslim countries to take the lead in combating radicalization. The president and his entourage arrived at the Vatican just before 08:30AM, in a meeting that was arranged at the last minute. Donald Trump was greeted by Archbishop Georg Ganswein, the head of the papal household, and escorted by the Swiss Guard to the offices of Pope Francis. Correspondents say President Trump seemed subdued during their initial meeting, while Pope Francis was not as jovial as he sometimes is with world leaders. The two men appeared much more relaxed at the end of their 30-minute private meeting. The Vatican said later that they shared a commitment to “life, and freedom of worship and conscience” and expressed hope that they can collaborate “in service to the people in the fields of healthcare, education and assistance to migrants”. On international affairs, their “exchange of views” covered the “promotion of peace in the world through political negotiation and interreligious dialogue”, and highlighted the need to protect Christian communities in the Middle East. After the meeting, Pope Francis and President Trump exchanged gifts. The president gave the Pope a boxed set of writings by the civil rights leader Martin Luther King. Pope Francis gave President Trump a signed copy of a message he delivered for World Peace Day, along with some of his writings about the need to protect the environment. He also said he would read the texts the Pope gave him. President Trump was joined not only by First Lady Melania Trump, daughter and son-in-law but also Secretary of State Rex Tillerson and National Security Adviser HR McMaster. Both Melania and Ivanka Trump were dressed in black with their heads partially covered, in keeping with a traditional Vatican protocol that is no longer expected to be rigorously observed. Melania Trump, a Catholic, asked the Pope to bless her rosary beads. In a light-hearted exchange, Pope Francis asked Melania Trump what she gave her husband to eat. It was initially thought he had suggested “pizza” to her, but in fact he said potica, which is a cake from Melania Trump’s home country of Slovenia. She laughed in response, and agreed with him. This is Donald Trump’s first visit to Europe since taking office in January. Security has been stepped up across Rome, with the areas around the Vatican City, the Italian presidential palace and the American ambassador’s residence, where President Trump is staying, temporarily closed to traffic. Despite the heavy police presence, about 100 anti-Trump protesters held a rally in one of Rome’s squares on May 23. Significant protests are also expected in Brussels where President Trump will meet EU and NATO officials. Donald Trump will end his tour on the Italian island of Sicily at the G7 summit on May 26.